“An amazing contraption, I thought, as the odd-looking car was unloaded from a truck onto the Appian Way, just south of Rome. The kind of vehicle that springs full-grown out of fantastic comic books. 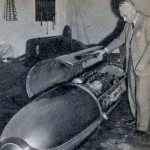 But, it was an automobile, all right – a pair of sleek silver-and-blue torpedoes, shaped very much like the deadly fish launched by submarines, connected by two thin strips of beveled aluminum. I was one of the handful of racing enthusiasts and official timers who had traveled to this dangerous stretch of two-lane macadam road flanked by deep ditches out of which grew huge trees. 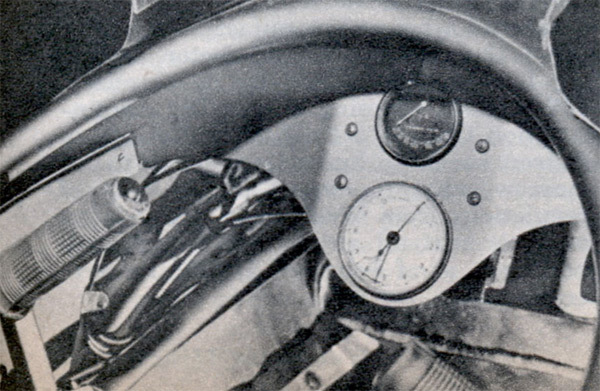 Most of us had faith in the radical machine because it had been built – and was being driven – by Piero Taruffi, a brilliant automotive engineer and one of the world’s best racers. The wheels were seperately suspended and absolutely indepenedent. This suspension, instead of being parallelogramed sidewise, as is the case with American cars, functioned from front to back. 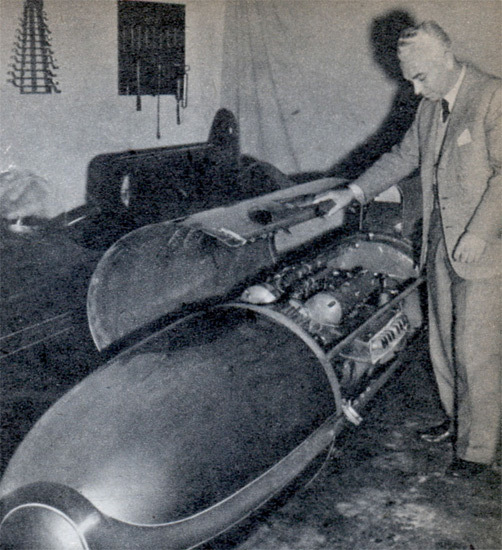 The motor was a standard Maserati four cylinder, 1720 cc with four forward speeds. Power from this motor was transmitted to the rear wheels by a chain drive, as in a motorcycle. The tail fins sticking up from the torpedoes were adjustable to take advantage of prevailing wind conditions. There had been almost insuperable engineering and financial handicaps to overcome before the vehicle was ready for this trial. And now, on this ancient Roman roadway stretching like a narrow ribbon through the Pontine Marshes, Taruffi was going to try to better the world’s record for sports cars in the two-litres class. 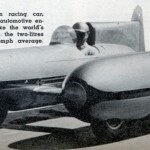 The record was held by Britain’s Goldie Gardner who, the year before, had rolled up the incredible speed of 284.470 kilometers per hour in an MG. Mechanics poured preheated oil into the Maserati motor, Taruffi donned his white helmet and climbed into the cockpit. He grasped the rudders that took the place of the steering wheel and drove to the starting line. The first two laps were warmups. On the third, coming downwind, he zoomed like a silver streak past us. 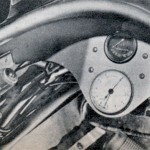 The timer announced that he had done a breathtaking 313.588 kilometers per hour. The upwind leg was slower. But the average, necessary in fixing the official time, was 298.507 kilometers per hour, or approximately 185 mph. Taruffi’s double torpedo had broken Gardner’s mark by better than 14 kilometers! 23 Comments on the H.A.M.B.